When proclaiming Wallenberg an honorary citizen, president Ronald Reagan asked: How can we comprehend the moral worth of a man who saved tens and tens of thousands of lives? We cannot. Last week, the world marked International Holocaust Remembrance Day. It is a solemn day that commemorates the victims of the Holocaust, including six million Jews, and a day when we all reaffirm our commitment to never again allow such atrocities to be committed. But it is also a day in which we honor the courage, the sacrifice and the humanity of those individuals who stood resolute in the face of evil to help so many, often risking their own lives. One such individual is Raoul Wallenberg. Raoul Wallenberg: Righteous Among the Nations, honorary citizen of the United States, Israel and Canada, recipient of the Congressional Gold Medal and twice nominated for the Nobel Peace Prize. 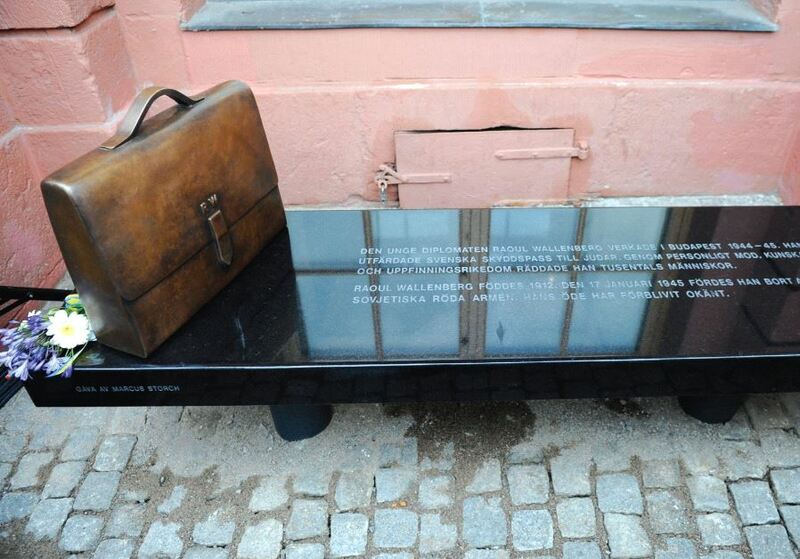 Monuments have been erected in his honor, streets named in his memory, and awards given out in his name to honor those who best reflect the courage and humanitarian spirit Wallenberg exemplified through his heroic deeds and actions during the Holocaust. These are all incredible testaments to a man who risked everything to save the lives of tens of thousands of Jews during humanity’s darkest period. Yet 72 years after Wallenberg was last seen as a free man, the truth surrounding his fate remains a mystery. For decades there has been a lack of information surrounding the circumstances of Wallenberg’s detention and ultimate fate, with new revelations uncovered slowly over time. But with every new piece of information, more and more questions arise. That is why it is vital to gain access to all of the Soviet-era archives and documents regarding the Wallenberg case, because without such access, we may never fully reveal the truth. That is why, last week, I introduced H.Res.58. This bipartisan resolution – expressing the sense of the House of Representatives regarding unanswered questions into the fate of Raoul Wallenberg – is intended to reignite the search for answers and shed light on this long unresolved mystery. 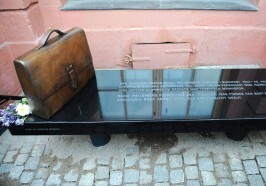 It calls on Russian officials to allow access to certain archives that might contain crucial information on Wallenberg after he was detained by the Soviets on January 17, 1945, and it also calls on US government officials to bring up the Wallenberg case in meetings with their Russian counterparts. H.Res.58 builds off of the tremendous work of so many organizations and individuals that have been working throughout these past seven decades, and one hopes, can build the momentum needed to encourage all parties with relevant information to allow access to the documents needed that can close this tragic case. The resolution seeks to build off of the work of Raoul’s mother, Maj, and his step-father, Fredrik von Dardel, as well as Raoul’s half-brother Guy von Dardel and his half-sister Nina Langergren. Their lifelong quest has taken an immeasurable toll on the family. It also builds off the work of former member of Congress Tom Lantos. My good friend and former colleague, the late Tom Lantos, was the only Holocaust survivor ever to serve in the United States Congress. He was also saved by Raoul Wallenberg. His very first bill as a member of the House of Representatives went on to become law in 1981: Proclaiming Raoul Wallenberg an honorary United States citizen. Tom’s years of service were directly influenced by his experiences, dedicating himself to educating people about the horrors of the Holocaust and encouraging his congressional colleagues to fight for fundamental human rights across the globe. I learned so much from Tom and took inspiration from his never-ceasing and unyielding effort to implement, as he would say, Raoul Wallenberg’s message that human rights are indivisible and sacred. There can be no greater way of honoring Raoul’s and Tom’s memories than by finally bringing closure to this case. When proclaiming Wallenberg an honorary citizen, president Ronald Reagan asked: How can we comprehend the moral worth of a man who saved tens and tens of thousands of lives? We cannot. But what we can do is to once again shine a light on Raoul Wallenberg’s fate, and bring pressure upon those who might be in a position to provide long overdue answers. Ileana Ros-Lehtinen, a Republican member of the US House of Representatives from Florida, is chairwoman of the House Foreign Affairs Committee’s Subcommittee on the Middle East and North Africa and is a member of the Permanent Select Committee on Intelligence.